The child died of his burns. No word yet on the motive, but we can guess. Just don't expect the controlled media to examine this one too closely. They have to protect the multicultural / tolerance mongering narrative. A six-month old baby boy was kidnapped, set on fire and dumped near train tracks in Louisiana last week. Baby Levi Cole Ellerbe was kidnapped on July 17 after two people came to mother Hanna Barker's trailer door just after 9pm and sprayed her in the face with what she believed was mace. Instinctively, the Barker ran to get away, a statement from Natchitoches police said, and when she went back home, found her infant son was missing. Police said the search for baby Levi began immediately, with additional officers from surrounding precincts called in to help. Unfortunately, less than 90 minutes after Levi went missing, police were alerted to a fire nearby the railroad, where they found a badly burned six-month-old boy. Levi was rushed to Natchitoches Regional Medical Center in a critical condition but died on Wednesday from his injuries. 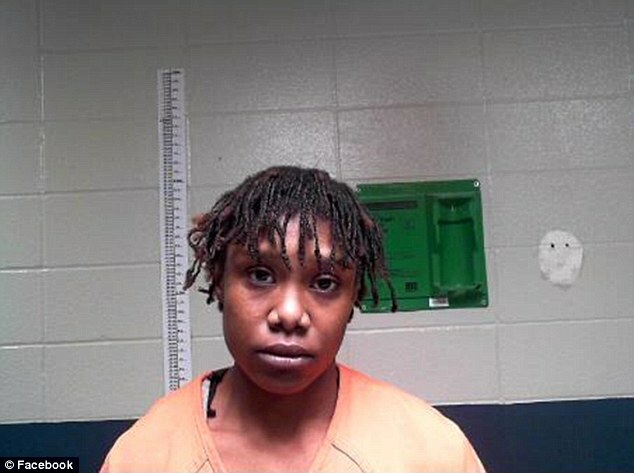 Felicia Marie-Nicole Smith, 25, was charged with the first degree murder of Levi on Saturday and booked into the Natchitoches Parish Detention Center. It is unclear if Smith and Hanna Barker knew each other personally, but the pair are friends on Facebook. Levi, who had three sisters, Brookelaine, Elizabeth, and Nevaeh, was laid to rest on Friday. His obituary described him as 'the happiest baby who always had a big smile'. 'He spent his time playing with siblings and cousins especially outdoors, watching PJ Masks and video gaming with Uncle J,' the moving tribute read. 'He was an animal lover and anytime he could get his hands on his dog, Rex, he loved to pull his ears. Neighbor Kanika Johnson was the one who made the 911 call. She told Town Talk she thought the fire had been started by local children and was nothing malicious. 'I had called the police and told them to hurry up and send somebody to put the fire out before it spreads. Hanna has been grieving with her mother, Kristy Roberts, and her sister.